Turnkey Property Investment in Thailand, Phuket. Rental guarantee with 10% pro year rental yield up to 20 years. New Nordic Water World from 150 meters to Bangtao beach. Five buildings with seven floors, the total number of apartments 1200, full furniture is included. Living area 26 – 105 sqm. Prices starts at 3,300,000 THB. Completion 2019. Are you looking turnkey property investment in Thailand? 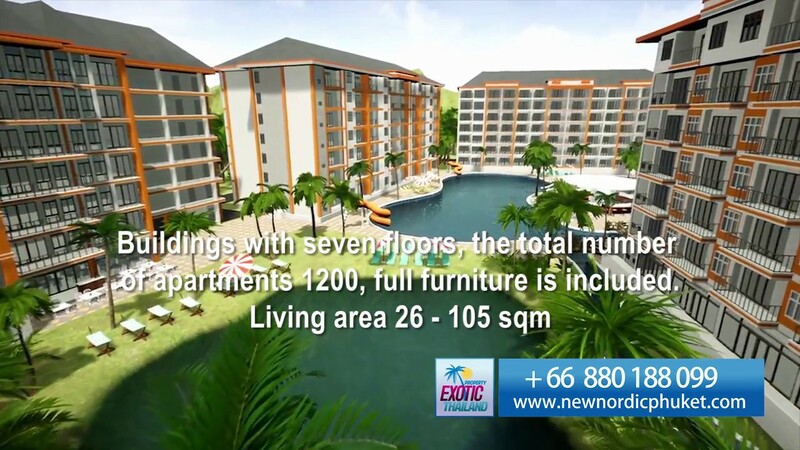 Our real estate agency offer the unique opportunity to invest in New Nordic Water World in Phuket, Thailand and receive every month revenue of 10% pro year of their initial investment during a period up to 20 years.